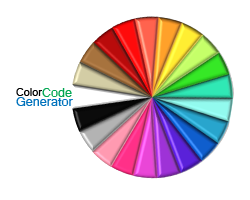 I have published two ever useful color coding tools that will help you get the color value Or RGB value of any color you want to use your html, css, Java, its coding. Now you don't have open paintshops, or photoshop, each time to select desired color. The new Bloggers are customizing their templates, and new widgets and Sometime they need to change colors of different widgets and themes. So this color generating tools are really helpful for bloggers.